http://www.line-stickers.com/ – Parappa The Rapper Line Sticker | Super cool Parappa The Rapper is now on LINE! 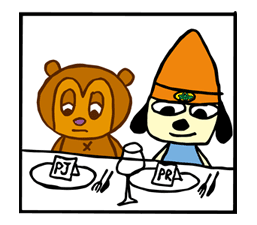 Artist Rodney has come up with fresh designs, giving Parappa and Master Onion some excellent expressions. Copyright: Copyright © Rodney Alan Greenblat/I.P.